Delhi's transport department has agreed to register new models of two-wheelers compliant with Bharat Stage (BS)-III emission norms launched in the capital prior to April 1, a move that will bring respite to two-wheeler makers like Bajaj Auto, Royal Enfield and Suzuki Motorcycle India. Sale of models such as Royal Enfield Himalayan, Bajaj V15, Suzuki Access and Hayate were stalled in the capital as the transport authorities had put on hold approvals for registering new BS-III complaint motorcycles and scooters since last December without an official order, informed industry insiders. "We had a meeting with the transport commissioner. The issue has now been resolved. All files have been cleared and approval letters would be sent to individual companies tomorrow," said Vishnu Mathur, director general of the Society of Indian Automobile Manufacturers (SIAM). Confirming the development, Eric Vas, president (motorcycle business), Bajaj Auto, said the company has got a go-ahead to sell V15 in the capital. India follows the BS-III norms for two-wheelers and BS-III and IV for passenger vehicles. Starting April 1, 2016, all new models of two-wheelers need to comply with BS-IV norms. Existing models that are launched till March 31 need to upgrade to BS-IV from April 1, 2017. 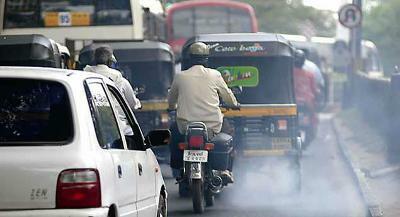 The BS-III two-wheelers are more polluting than BS-IV. However, despite the official gazette notification clearing laying out the emission standards for both old and new models, transport authorities in the state had stopped giving approval for registering new BS-III motorcycles and scooters. SIAM had consequently raised the matter with the office of the transport commissioner in the Delhi government in letters dated February 24 and March 11. The industry body said despite requests they had not been granted a meeting nor had they received any response to the letters sent.